Hey, do you like to run? Then you may need to have quality running shoes. Running shoes will help you run because they will absorb the impact of your steps, they are comfortable and breathable, they’re worth every dime, the midsole cushions keep your heels comfy as you run, and the back of the shoe doesn’t give your heel blisters. Running shoes are designed to keep you running for as long as you want, whenever you want. 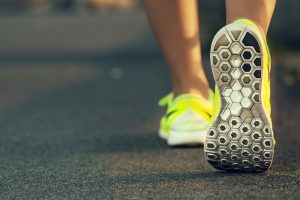 If you want to run on a hot, sunny day when the pavement is hot, and you plan to run for like two hours, then your running shoes should be designed to be both breathable and comfortable for a trip that isn’t so difficult on you or your body. The shoes also have midsole cushions to absorb the impact of the shocks of the steps you take during your run so that your body won’t feel the “3 times your weight” shocks since it will be very painful for your body to receive the impact. The fact that they last a year is a good motivator, it’s a good feeling to have a good quality pair of shoes, having a pair of shoes is a good motivator to exercise, it’s always good to have an extra pair specifically for running, the back of the shoe won’t cause friction on your heel as you run, you get your money’s worth, you get to run longer and faster, and you get traction on roads and trail. They won’t fall off of your shoe and they feel comfortable. You need comfortable shoes because you might be running for a while and you don’t want your feet to feel hurt or uncomfortable the whole way. Also, when you are using your running shoes during the summertime, it’s a good idea to have them breathable, to your right size, and very bright during summer time so that your feet don’t overheat and sweat inside your own shoes. They absorb the impact of your steps so that your foot won’t be hurt by the impact. That way, your foot and body won’t be hurt by the shocks (which is like 3 times the impact of your weight) as you run. Also, the cushions are able to protect your foot safe from stuff on the ground, like gravel and rocks and really hot sun on the pavement. These shoes are a good quality pair of shoes, up to a hundred dollars and up. The money goes into how comfortable they make you during your run, the shocks they take whenever you run, and the breathability of the shoe. Which is why the shoes will last you a year if you use them to run every day. If you use them sparingly, they can last up to 3 to 5 years. Regardless, though, they do wear themselves out eventually even if you never use them. So, the fact that these shoes won’t last forever is a good motivator to make good use out of them during the time that you do have them in good condition. It’s a good feeling when you have brand new shoes because they are new and you know how long they can last that way, as opposed to doing guesswork on used shoes. 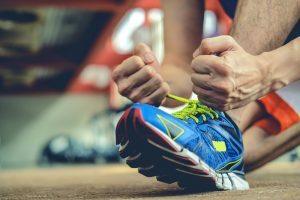 If you have a pair of shoes for the sole purpose for running, then it saves the other pair for other things and the running shoes for running exercises. You don’t have to wear your other shoes out for running exercises when you can have shoes that are designed specifically for that purpose. The back of the heel is designed to give supination so that it doesn’t cause friction against the back of the heel. Every time you run, it doesn’t have to sting each time you run on the ground and cause friction to your heel. The comfier and breathable the shoes, the more you can run your exercises for. And the more you run, the more you can burn a lot of calories. You won’t slip on the roads or trails with these running shoes because they have good traction on them. You’d have a good foothold on the roads and trails as you run so you’ll be safe as you run. Since it’s a pair of shoes that is of good quality and won’t last forever no matter what, it’s a good motivator to get some exercise in while you have the shoes in good shape. Running is a good way to get in shape and lose weight anyway, so why not invest in some running shoes? Also, running is a good way to prevent heart disease and brain diseases, along with various health complications. 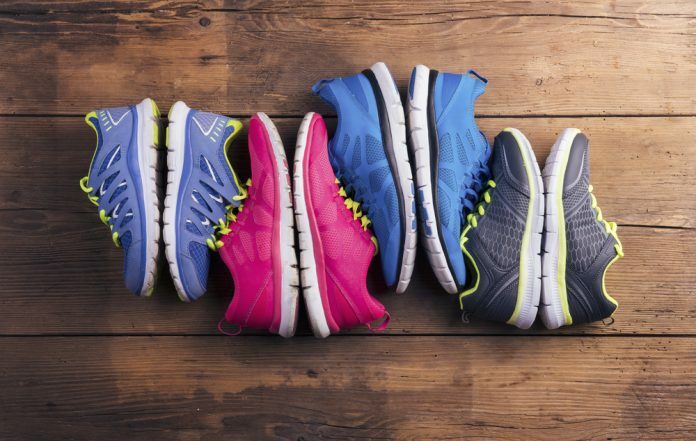 Running shoes will help you run because they will absorb the impact of your steps, they are comfortable and breathable, they’re worth every dime, the midsole cushions keep your heels comfy as you run, and the back of the shoe doesn’t give your heel blisters. The fact that you get your money’s worth is a good motivator, it’s a good feeling to have a good quality pair of shoes, having a pair of shoes is a good motivator to exercise, it’s always good to have an extra pair specifically for running, the back of the shoe won’t cause friction on your heel as you run, you get your money’s worth, you get to run longer and faster, and you get traction on roads and trail. If you want to run for exercise or fun, then running shoes are an ideal pair of shoes for you to have.